We're excited to share that two of our projects received recognition at the ADNZ Regional Awards last week, including a Highly Commended for the Hekerua Bay residence! 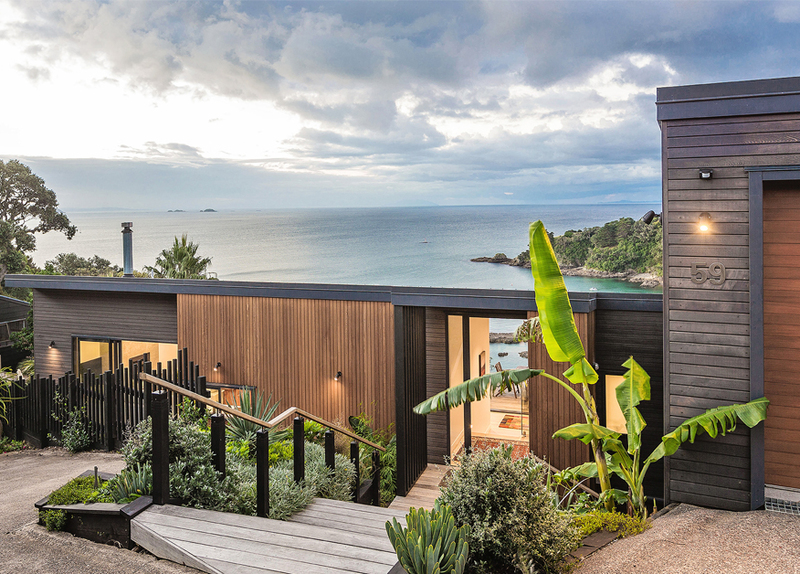 Located near Oneroa Beach, Waiheke Island, the Hekerua Bay home sits on a very steep site, facing north with views towards Hekerua Bay and beyond. This new build was designed to maximise the coastal views using a limited budget, and provide multiple flexible outdoor spaces. Our Granny's Bay residence also received recognition in the category for alterations and additions. 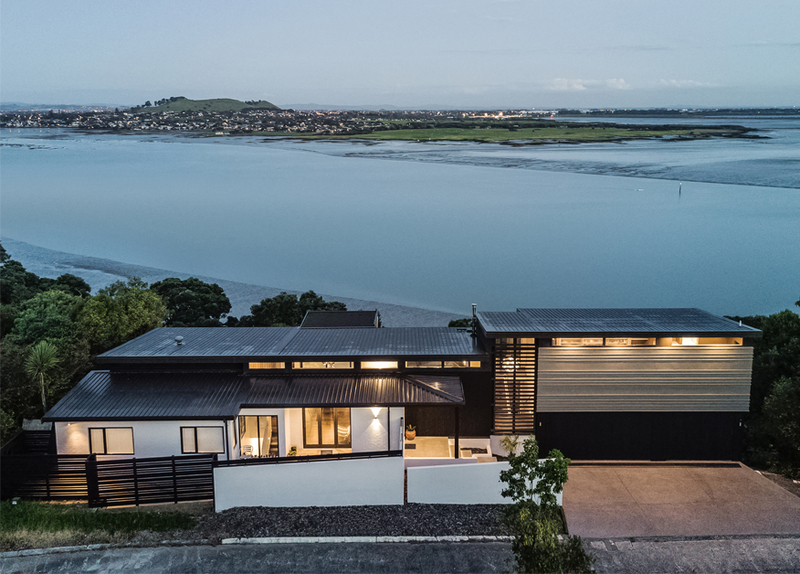 The approach to the home directs focus to horizontal ribbed zinc clad box mimicking the grey moody hues and rippling waves of the Manukau Harbour. Living spaces are purposefully directed to the view south with a series of decks, layered as platforms down the site. Here's another great timelapse of progress over at our new home! Now the precast concrete walls are in place, you can watch structural steel being installed, cross laminated timber floors going in, and timber walls going up! "The building navigates the slope of the site through a series of steps that enable views of Rangitoto to the majority of the spaces within."